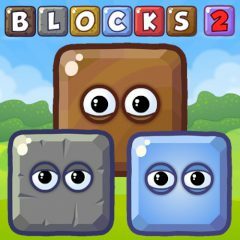 In this game you are going to join the blocks. With the every next level it could be more and more difficult! So, use all your skills and solve each puzzle as better as possible. Be sure that everything depends on you. Just have faith in yourself. Do you wanna to train your brains a little? Then choose this cool puzzle game and you will cope with it! So, this is a number of actions you can do to complete the level. And your main goal is to get a star you have to complete this level in one action. Just try to think all your steps and do not give it up! Otherwise you will play it again and again! Just connect the blocks according to their color and be sure that you can do this. Just use the mouse to play and do it all the time. Invite your bests and have fun!